Dr Lane graduated from the University of Wales (with honours) in 2010. 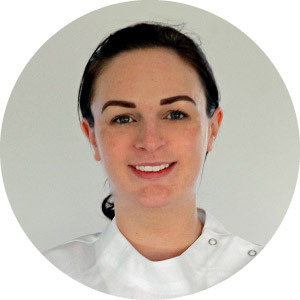 After graduating, she developed a passion for cosmetic dentistry when she was given the privilege of treating the soon to be premier league soccer players of Swansea City FC. Dr Victoria Lane has returned to Port Stephens, bringing with her the latest, most advanced clinical and technical skills in modern dentistry to provide patients with the very best of dental care. Recently, Victoria has finished a three-year masters in Cosmetic Dentistry with the highly prestigious Kings College, London making her one of Australia’s few dentists with this formal qualification. Her further training allows Victoria to offer predictable and reliable treatments from simple to the most complex of cases. She is now a full member of the American Academy of Cosmetic Dentistry and is working towards accreditation. Victoria is a member of the Australian Academy of Dento-Facial Aesthetics (AADFA) being able to compliment her dental work with the art of facial injectables and skin rejuvenation techniques. She is also a qualified Invisalign provider and has attended further training in the restoration of implants. Be diligent in your research into finding the right cosmetic dentist for you. Cosmetic Dentistry is not a specialised field. We cannot call ourselves experts. We are not Specialists. Many dentists claim to be a ‘cosmetic dentist’ but dentists use this term casually without any regulation of their clinical skill sets, knowledge and artistry. Rest assured, Victoria has international training worthy of the ‘cosmetic dentist’ title through her 3-year Cosmetic Masters. Victoria brings with her a reputation for a friendly and caring chair side manner. In her spare time, she enjoys horse riding, trips to the beach with her golden retriever and playing with her baby girl.